What is the best thing about birthdays spent with family and friends? Lots of love and delicious birthday cake! 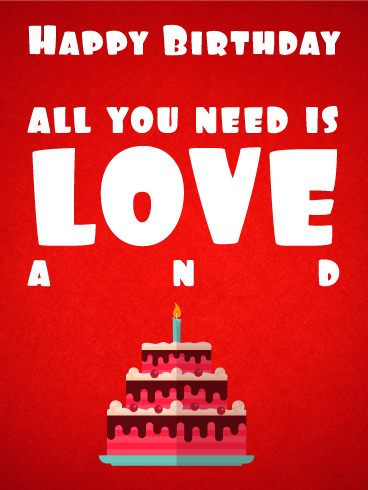 For your loved one's birthday this year, celebrate with the sweet message and yummy cake on this Happy Birthday card! The fun font, pretty reds, and delectable birthday treat will make this the best birthday card they receive on their special day!